← Do I Know You, Ma’am? This entry was posted in Clean Eating, environmentally-friendly, food, gluten-free, Green Living, Health, life, Lifestyle, Paleo diet, reality, sugar-free, vegan, Vegetarianism, Wellness, Whole Food and tagged ancestors, carbon footprint, clean eating, diet, eco-friendly, environmental, food, fruit, green, green lifestyle, green living, health, healthy-living, lacto ovo, lifestyle, nature, nutrition, opinion, Paleo, self, strict vegan diet, vegetables, vegetarian, wellness, wine. Bookmark the permalink. Very thoughtful post! Lately, I’ve been doing a lot of thinking on my food choices, too. I learned so much about how my body responded to various food choices during the Whole30 experiment. In fact, I’m still learning. THE biggest revelation for me was the benefit of healthy fats, especially coconut oil. I am now reading “Eat Right 4 Your Type,” which bases your optimal diet on your blood type. I don’t yet know how I feel about it. (I don’t even know my blood type yet.) I’ll experiment in the near future and gather some more experience. By the way, eating consciously while you were pregnant was a beautiful gift to your daughter. Very, very nice! Thanks for the kind words, Cyndi. As a mother many of our choices are geared toward our offspring. They are dependent on us to nurture them – starting with a great foundation is essential. The Whole30 was a great experience! I’m glad it had a similar effect on your thought process. When we start asking questions is when we start being open to receiving answers. Ah, glorious coconut oil how I love thee. I devoured the Eat Right for Your Type books when they first came out. I just couldn’t wrap my head around the whole aspect that my blood type suggests I eat mostly meat and no legumes. I tried it briefly and felt emotionally depleted so I moved on. Who knows, it may be a process that you enjoy and makes you feel great. Here’s to an open mind! I just had a chat with someone last week about this “Paleo” diet… we chucked about the VAST difference in lifestyle… the people who originally ate that diet didn’t spend the majority of their time sitting… at work, in the car, at home, they lived pretty much out of doors day and night, so their bodies needed those calories just to survive. First, just to live in the elements, unlike us, who live in climate controlled spaces most of the time. And they were active from sun rise to sun down, unlike most of us in Western society. Oh… and they slept, sun down to sun rise, so their bodies had a chance to process and use what was eaten to recover and rebuild as we’re designed to. And they probably only ate meat once a month (albeit, probably a lot in a few sittings cause it wouldn’t last for the most part)… the rest of their diet would have been completely plant based… there was no fast food, factory farms or food processing plants anywhere. You are so right…being mindful doesn’t mean perfect. It isn’t an occassional french fry that will cause us to keel over so we need to keep things in perspective. The S.A.D. is nasty. How did we allow ourselves as a society to get so far from the reality of healthy eating? How we treat ourselves each and every day makes the difference. When we respect ourself and consider what we put in our gob as to whether it will nourish or hinder is the goal. Spending quality time with you, my co-pilot, has increased my awareness immensely in terms of the acid-alkaline aspect of eating. Your path to a less-stress lifestyle (although you are probably the busiest person I know!) is inspiring. Healthy eating is delicious if done right! Thanks for a great, thought-provoking post! The great thing about clean eating is that it isn’t a “diet”, it’s a lifestyle. It’s easier to choose foods that are conducive to good health when you realize how great you feel, isn’t it? Gooey cheese isn’t the enemy…the type and occurance of it in your meals is. There’s my quality snob rearing its head again! I like melty, yummy cheese too. It just tastes better when it becomes a treat. Just like we learned together as a group on the facebook Whole30 Poutine Detox page, when we drop an offending food from our meals we feel sooo much more ALIVE! You should be so proud of yourself. You are making great additions to your and your family’s food selections! Heehee…love it! I totally agree. That’s a frightening thought, Kaye, but very plausible due to our disregard for Mother Nature. There is a tipping point when we overuse our limited resources and factory farming pushes us to that point. Thanks for sharing your thoughts. As you know, I jumped on the Paleo bandwagon a few months ago. My sugar cravings due to my hormones and meds threw me for a curve, despite my best intentions, so I wasn’t a perfect Paleo eater. There are several versions of Paleo, which allow and disallow certain types of foods. One allowed diet soda. This I do not agree with at all. Mark Sisson’s version is the best, in my opinion. It’s more sensible, easier to live with, and he doesn’t recommend eating bacon, unless it’s nitrate-free, and even then, in small quantities. I once said I could never be a vegan. I think eggs and fish are very healthful. I’m changing my mind about dairy, but I’m still on the fence. Lately, though, I’m losing my taste for meat, and I don’t know why. It doesn’t matter, though. You are spot on. What you eat should be less about adhering to a popular diet plan and more about providing your body what it needs. If my body wants more veggies and less meat, I’m gonna go with it, no matter what the diet gurus say. 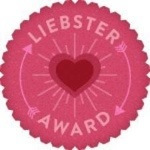 By the way, your blog rocks, so I’ve nominated you for the 2012 Blog Of The Year Award! Toni, you are one rockin’ chick! Listening to your bod is key in healthful (and mindful) nutrition. Whether or not you choose to eat meat or not should be judged on your need and response. Not everyone does well on the same menu and every body digests uniquely. Meds will definitely alter your absorption of certain vitamins and minerals. I think the Whole30 Poutine Detox peeps all have a similar mindset as to being attune to our internal voice, if you will. Diet soda? Please. That’s just flat out wrong. Can you imagine a cave dude walking around with a can of diet Coke? HA! Thanks for the kudos (and I’m not referring to the snack food- although I love Combos ;))! I am flattered that you have nominated little ‘ol moi.